The Libra (24 September – 23 October) is the only sign in the zodiac that is not represented by a human or animal. Symbolized by the scales, which are all about balance, Libras love order, equality and harmony. They are the happiest when everyone is happy and getting along. Ruled by the planet Venus, Libra is gifted with charm, beauty and social grace. If you have a Libra friend or partner, you know exactly the qualities of this sign. If you don’t have, read on and we’ll show you why the Libra is the best sign of the zodiac. Libras are great listeners and also very sympathetic. If you are struggling with a personal problem, Libra is the person to go to. They have the ability to see both sides of a situation and they are compassionate listeners. Even if they cannot fix the problem, you can always count on the Libra’s attention and emotional support. Libras are very likable people, they can be easily recognized by their friendly charm, inviting nature and warm energy. They light up the room with their easy-going personality and sparkling smile. No wonder why everyone likes them! The stranger you find yourself telling your whole life story to is more than likely a Libra. Libras love to be surrounded by people; socializing for them is a basic human need. A Libra is naturally outgoing and easy to talk to. They handle even the awkward situations with ease and elegance. They are diplomats and excellent communicators. Laughing, talking or debating for a few hours will make a Libra happy. Besides being sociable and adaptable, Libras also posses a natural charm. With this natural charisma they easily move through many circles and situations, as if they always know what to say to just about anyone. They simply thrive in social situations. Awkward silence is something that you will never experience in the presence of a Libra. Libra tends to put others first and is often selfless. They usually have a hard-time saying ‘no’. They are very empathetic and caring lot. These traits – as well as many others – make them reliable friends and partners. You can be sure that a Libra woman will be supportive of your dreams and be there for you in every difficult situation. If there is one thing that Libra hates, it is conflict. They value peace and harmony above all other matters. Libra has unique problem solving skills and with their diplomatic attitude they can dissolve any tension and argument in no time. You can trust a Libra, they are fair and loyal people. Libra is represented by the scales and they have a strong desire for balance and peace in the world. They are known for their cooperative nature. Life is smooth and easy with them. They don’t want to fight about things and they always try to chose the path that pleases the most. Libra woman is a peacemaker and wants to keep everyone around her happy. Libras have creative and artistic souls. They express their intelligence through creativity and most are involved in some sort of artistic or creative pursuit. They love beautiful things, luxury and often they have an up-to-date fashion sense. You can count on their elegance as they can certainly spot excellence when they see it. They love anything upscale and classy. Being an Air sign, Libras are very creative thinkers, they love to talk and debate. The best way for them to express this intellectual energy is through looking outwards and engaging with friends. Libra favors intellectual discussions so they are the happiest with a partner that is well-versed on a variety of topics and challenges them. Libras are an optimistic lot, they see the best in any situation and look at the glass half full. They prefer living the sweet life, that’s all about good company, good food and beauty. Being so positive, Libra appreciates the smallest gestures of kindness and they are able to find beauty in almost anything. 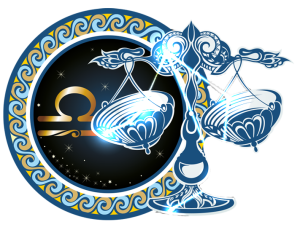 Libra is a great company; friendly and outgoing. They have a special ability to make you feel at ease and special. I am a proud Libra, and I definitely believe Libra is the best sign of the zodiac. We definitely have the most pleasant personality and our only bad quality is our indecisiveness ( which I don’t think is so bad!!! ). Whenever someone tells me they are a Libra I say ” of course you are” because they’re personality shines through. I love most all about being a Libra, I feel caring for a loved one’s happiness and choice is respect not indeciseveness.